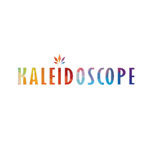 Kaleidoscope delivers high-quality medical cannabis products 24/7 in Los Angeles, CA. The company aims at educating the LA community on many benefits of medical cannabis use in the healthcare sector. The delivery here strives to provide services that patients can always rely on. Kaleidoscope proudly distributes medical premium cannabis to communities in the city center and the Greater Los Angeles area. The delivery offers an exclusive range of high-quality medical cannabinoid products. That includes various grades of Sativa, Indica and Hybrid as well as other goods such as concentrates, edibles, etc. Every product that ends up on sale here is professionally cultivated and tested by SC laboratories to ensure the best quality and safety. Kaleidoscope partners with such renowned brands in the industry like Korova, Kaneh Co, Kushy Punch and Kiva to provide only the top-quality medical marijuana to its patients. Being its specialty, Kaleidoscope offers a wide selection of specially designed Vape cartridges. In order to register as a Kaleidoscope’ patient, you must send a valid copy of doctor’s recommendation and CA issued ID.